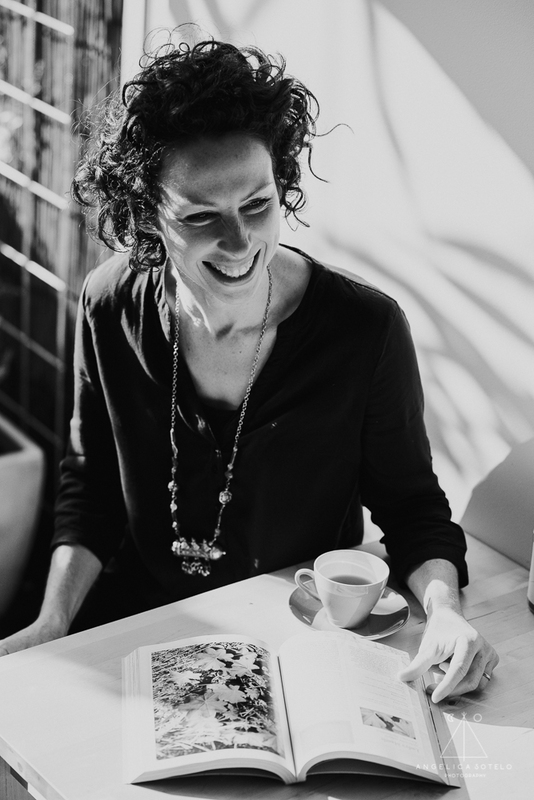 Kathleen Murphy is a Naturopath, Acupuncturist and mother based in Sydney. She runs the amazing MamaCare and we wanted to chat to her about all things the fourth trimester. In traditional cultures the 4th trimester is a normal progression after a new baby is born. How important is this wonderful and special time for a new mother and her baby? The fourth trimester is incredibly important! I cannot say it enough… and I say it a lot. I think it deserves just as much attention as preconception and pregnancy health, labour and birth preparation. The period after birth is hugely important and a significant transition for any new mother – physically, emotionally, spiritually – regardless of if it’s her first baby or she’s had many before. Whether that new mother is aware of it or not, she is mentally, physically and emotionally engaged in extremely important work during this period. In many different traditions, around the world, the importance of the fourth trimester is understood and the period following pregnancy and birth is honoured as a special time for the mother herself: a transition. In many cultures, women are not expected to carry on their normal lives, there is no pressure to ‘snap back’ to where they were before. Instead, they are recognised and respected for the changes they’ve undergone and journey they are beginning. Take physical healing, for example. A woman’s body goes through significant change over the course of pregnancy, a gradual process over the course of roughly 40 weeks. During and after birth, she again experiences a seismic physical shift, but in a much (much!) shorter space of time. Unsurprisingly, this new mother’s body needs to recover and there is a process of physical healing required, whether she has a smooth and relatively easy birth or high-level intervention. Emotional wellbeing is another extremely important area to address. The emotions experienced following the birth of a child can be intense and overwhelming. There is also a huge fluctuation in hormone levels immediately following birth, with the onset of breastfeeding, and the weeks that follow which can leave new mothers feeling vulnerable, emotional and fatigued. Understanding this transition, recognising the importance of the fourth trimester, and providing the right support during this time, allows a new mother to adapt and thrive. It facilitates strong bonding with her baby. It supports her other significant relationships, with her partner and family. Honouring the fourth trimester serves not only the new mother but also her baby and her community. The 4th trimester is not very well known in our modern day society. Why or how do you think this happened? Look, lots of reasons I think. I think a big part of it is that, these days, most of us live outside of close-knit family or friendship communities and lack the ‘village’ support that is essential during major life events… including the weeks and months following the arrival of a newborn. And the many years beyond that, it must be said! There is also the issue around the medicalisation of pregnancy and birth; viewing them as a health conditions requiring treatment and management rather than natural life processes. But that’s a whole other conversation! I am heartened, however, to observe and be part of a discussion that is getting larger and louder about the importance of postpartum care and the fourth trimester. Let’s bring it back! Can you tell us a little about your personal experience in your 4th trimester? I had a beautiful fourth trimester. My husband and I live 1000s of kilometres from our family and closest friends, so I knew we’d need to call in help and support in the weeks after giving birth. Happily, my husband was able to take several weeks leave from the time I went into labour. We also arranged for our parents (first mine, then my mother-in-law) to stay and help during the first four weeks after my daughters’ birth. I understand this arrangement wouldn’t work for everyone, but we are lucky to have an excellent relationship with both sets of parents. We’d also talked to them about it in advance, our needs and expectations, so everyone was on the same page about the purpose of their visits i.e. to support me and my husband… rather than just drink cups of tea and hold the baby (though we did plenty of that too!) We also hired a doula for labour and birth support, and her follow up in the weeks afterward was a wonderful support. I put an embargo on visitors, first to the hospital and then to home, for the first few weeks as I wanted to stay in the newborn bubble as long as I could… to let myself heal, bond with my new baby and find our rhythm as a family. I had also stocked the freezer and pantry with my favourite nutrient-dense, yummy foods. I also requested meals from the few close friends and family who visited in the first month – something we could share together when they visited and, again, discussed in advance, so it didn’t feel like an imposition. As such, for the first month, we ate delicious healing mama-nurturing foods without doing much cooking or prep-work at all. It was awesome! I took herbal medicines and some nutritional supplements to support my energy, balance hormones and promote healing. I ended up having an unexpectedly large amount of intervention in my daughter’s birth, so healing (physically and emotionally) was a big priority. An unusual end to my fourth trimester culminated in us moving to the other side of the world for six months. We flew out of Sydney when my daughter was just two months old. At the time, I felt physically and emotionally strong, confident with my baby and undaunted by this big change, which I attribute to an extremely well-supported and nourished transition into motherhood. This is something I wish for all women, whether its their first or subsequent baby. And certainly, something I plan to replicate with our next child! You are an accomplished Naturopath and Acupuncturist. Can you tell us about your role at Mamacare and how it started? I’ve always worked with preconception and pregnancy care and understood the importance of good health and support after birth but didn’t really get the concept of a fourth trimester or how crucial this period can be for new mothers. Quite self-centredly, it was my own pregnancy and the birth of my daughter that made apparent to me the importance of this transition. At this time, I was talking to a good friend of mine who was also expecting her first child and our conversation turned to what resources we had found, were using, recommended to others, etc. She mentioned that there was so much (an avalanche in fact) of information on how to take care of yourself during pregnancy and how to prepare for birthing, but very little (almost nothing) on what to do afterward. This was a real light-bulb moment for me! I consider that otherwise casual conversation the start of MamaCare. From there, I started looking into services and resources, thinking about out how best to approach this, I spoke to practitioners and researchers in the field of maternal and integrative health… and eventually got a small business up and running, at the start of last year, alongside my clinical practice. What is Mamacare? And what services do you offer? MamaCare is an in-home health service that provides health checks, physical treatments, postpartum resource pack, tailored nutritional and herbal advice, a support email and phone line. I visit women in their house before and after birth to check in and perform a regular health review. This includes a general health assessment and specific pre- or postpartum review, tailored health recommendations, discussion around a woman’s feelings about the birth and new motherhood, assessment of birth recovery, breastfeeding, newborn health, etc. I may also incorporate physical treatments such as acupuncture, massage and moxibustion (a Traditional Chinese Medicine warming treatment). When other family members are present (e.g. partner, parents, other children) they may be involved in the consultation and are encouraged to take an active role in supporting a new mother’s health and that of the newborn. Depending on what we decide beforehand, I may visit just a couple of times or up to every week throughout the fourth trimester. Some women have me see them at home initially then move appointments over to the clinic as they start to feel stronger and ready to get out for longer periods of time. I also work with other clinicians managing these women’s health before and after the birth – including obstetrician, midwife, doula, GP or lactation consultant – in order to make the experience as collaborative and beneficial as possible. What positives have you seen since working with mothers in the important 4th trimester period? What feedback have you received? One of the biggest positives to come out of this that I have experienced, is the value and appreciation mothers feel from having someone solely focused on their needs and wellbeing. I’ve heard this a few times now: how good it is to have someone focus on the new mother herself: to help her heal, ensuring she feels well and supported. There are also the small but significant rewards of helping to relieve back pain or abdominal cramping, supporting breastfeeding or balancing mood. Seemingly ‘normal’ clinical stuff, but which is often overlooked or goes unchecked for new mothers who aren’t able to get into the clinic to have these things seen to. As such, I bring the clinic – and the support – to them! I’m based in Sydney, with a clinic in Pyrmont and home visits are mostly around the Inner West and Eastern Suburbs. I have travelled further, including interstate, for some extra-special new mothers. But for the most part, I am in and around Sydney. Kathleen Murphy from Mamacare. Image by Angelica Sotelo photography. It’s a very common condition of this fast paced world we live in. So here are 5 Super adrenal herbs that can help. Reishi mushroom is the queen of medicinal mushrooms. She helps to support your immune system and boost your adrenals giving you energy and hormonal support. Withania Somnifera (Ashwagandha) is one of our faves! It’s a powerful herb that is super nutritious as well as helping your nervous system cope with emotional and physical stress. Siberian ginseng (Eleutherococcus Senticosis) is a great herb for energy but also supports and tones the adrenals and nervous system for a calm burst of energy unlike the quick high and jittery low from caffeine. Liquorice (Glycyrrhiza Glabra) is a yummy herb that is soothing on the adrenals and calming to the nervous system. Rhodiola Rosea is an adaptogenic herb which means it increases the bodies resistance to stress. Herbal teas are a great way to add some of these herbs into your everyday. 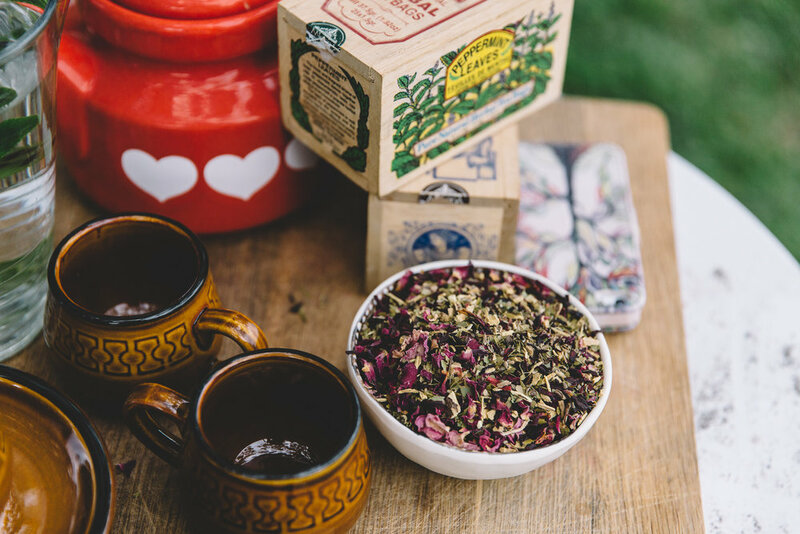 We have naturopathically formulated our repletion tea and recovery tea with several key adrenal herbs infused with nutritive and calming herbs to nourish and support those overworked adrenals, support your nervous system and give your immune system a boost. And we also created our superboost blends with Reishi Mushroom blended with Cacao, Withania, Shatavari, Lucuma and Mesquite to deliver these delicious herbs and nutrients into a smoothie or a warm drink.